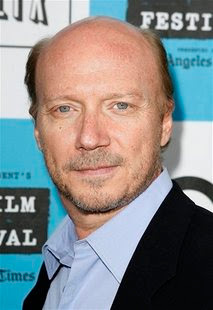 NEW YORK – "Crash" director Paul Haggis has severed his ties with the Church of Scientology, in part because of what he alleged as the organization's stance against gay marriage. Haggis wrote a letter addressed to Tommy Davis, the head of Scientology's Celebrity Centre. In it, Haggis said he was disappointed by the church's tacit denial of gay rights in the debate over California's gay marriage ban. The 56-year-old Haggis, who won an Oscar in 2005 for co-writing "Crash," said he was quitting the church after 35 years. "I could not, in good conscience, be a member of an organization where gay-bashing was tolerated," Haggis wrote. The filmmaker said that he was promised that action would be taken but that he was frustrated after time passed. "Silence is consent, Tommy," Haggis wrote. "I refuse to consent." The letter, dated Aug. 19, was published in a blog about Scientology and has since been widely circulated online. Ziggy Kozlowski, a publicist for Haggis, confirmed that the director wrote the letter. Kozlowski said the letter was intended to remain private. Davis said Haggis' complaints were based on misunderstandings and that he has since spoken to the filmmaker. Davis strenuously disagreed with Haggis' claim that the Church of Scientology is in any way anti-gay. Davis said the San Diego chapter of the Church of Scientology was incorrectly characterized as supportive of Prop 8. "We're all for civil rights and the rights of minorities," said Davis. "We know what it is to be a minority and have your rights curtailed. We're very vocal and consistent in our stance on discrimination against anybody. We take it very seriously." For an organization often shrouded in secrecy, the letter offered an unusual window into a dialogue between the church and one of its famous members. Occasionally, Scientology materials are leaked. Last year, a promotional video starring its most famous member, Tom Cruise, was watched by millions. Haggis also said he was "shocked" that the Church of Scientology was publicly denying that it adheres to a policy of disconnection — of severing ties with a friend or family member who's antagonistic toward Scientology. Haggis said that his wife, Deborah Rennard, was given precisely those orders and didn't speak to her parents for more than a year. Davis again disagreed with Haggis and said the church doesn't mandate disconnection with anybody and that it was an entirely "self-determined decision." "The great majority of Scientologists I know are good people who are genuinely interested in improving conditions on this planet and helping others," Haggis wrote. "I have to believe that if they knew what I now know, they too would be horrified." The Los Angeles-based Church of Scientology, founded in 1954 by the late science fiction writer L. Ron Hubbard, claims to have 10 million members in 165 nations. Haggis, who also wrote the Oscar-winning "Million Dollar Baby," is shooting "The Next Three Days" in Pittsburgh. It stars Russell Crow, Liam Neeson and Elizabeth Banks.